Enjoy majestic mountains and lakes on this fascinating trip from Reuthers. You will travel with a minibus through Germany, Switzerland, Austria and France. 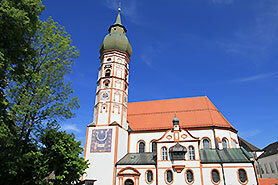 Highlights include Salzburg, Garmisch-Partenkirchen, Neuschwanstein Castle, Alsace and the Black Forest. On this trip, there are many photo stops. 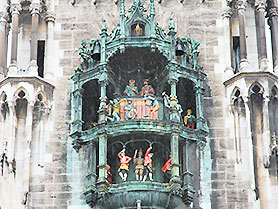 Welcome to Munich, the capital of Bavaria. After a transfer to your hotel, meet your fellow photo tour travellers with a welcome drink and dinner in the evening. 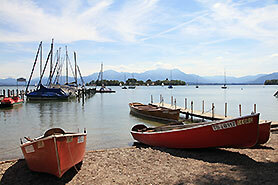 We begin our trip and travel to the Chiemsee, where we will stop for lunch. Our overnight stay is in Mozart's hometown Salzburg. 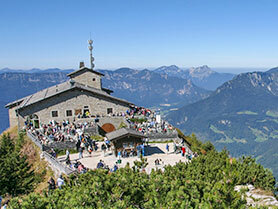 Today we learn more about the legendary Eagle's Nest, the Kehlsteinhaus. In the Third Reich, the building atop the summit of the Obersalzberg was used by members of the NSDAP for government and social gatherings. We spend the night in Berchtesgaden. 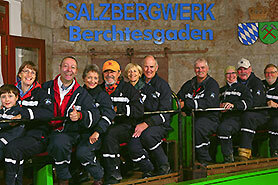 First thing in the morning we will visit the saltmine, where the famous Bad Reichenhall brand salt originates. Deep down underneath the Salzberg mountain a secret world awaits us. For many years, only the salt miners in Berchtesgaden were allowed to enter the complex tunnel system. We continue our ride to the Königssee, where a boat trip to the St. Bartholomä island and several other sights await us. Accommodation is near Zell am See. On our longest day of this photo tour, the most famous High Alpine Road leads us into the heart of the Hohe Tauern National Park, to the highest mountain in Austria, the Grossglockner (3798m) and its glacier, the Pasterze. It is a driving and nature experience of a special kind on 48 kilometers of high alpine road with 36 bends and curves, and an altitude ascent of 2504 metres. 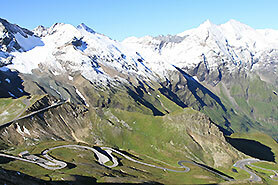 We will pass a unique world of mountains with blossoming alpine meadows, fragrant mountain forests, massive cliffs and eternal ice at the foot of the Grossglockner, the Kaiser-Franz-Josefs-Höhe. After a Reuthers Roadside Lunch we continue over the Gerlospass to the Achensee and finally arrive at our destination Garmisch-Partenkirchen. 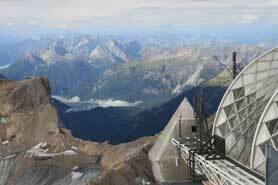 In the morning we will enjoy another unforgettable experience up high on the roof of Germany, arriving by cable car. With an altitude of close to 3000 meters (10000 feet), the Zugspitze is the highest peak in Germany. Further planned sightseeing is the highlight of the day, Neuschwanstein Castle. The shy King Ludwig II built the castle just for himself in order to withdraw from public life. Neuschwanstein is since 1886 one of the most popular of all the palaces and castles in Europe. After breakfast we will travel along the third largest lake in the middle of Europe, the Lake Constance (536 km2) and continue on to the Rheinfall of Schaffhausen. The largest waterfall of Europe offers an amazing wonder of nature. 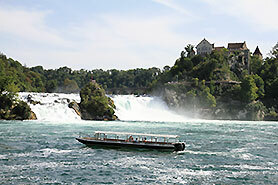 With a width of 150 meters the Rhine falls (coming from Lake Constance) over the rocks from a height of 23 meters. Weil am Rhein, seated on the border triangle Germany - France - Switzerland, is the destination. Today a very special highlight awaits us: Route des Crêtes in the Vosges in Alsace is one of the most popular mountain passes in the world. After a long day enjoying hills and valleys as well as a wine tasting tour in one of the most famous Alsatian wineries, we will get ready for the night in Riquewihr. 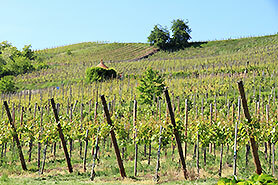 Nestling among the vineyards, the village certainly lives up to its reputation as the grand old lady of the Alsatian wine producing area. 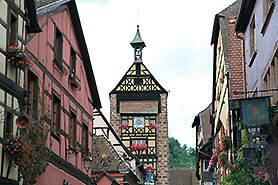 The houses here are dated from the 16th century and offer some of the finest examples of Alsatian architecture. We leave France, enjoy the popular Black Forest, travel the other side of Lake Constance and finish the beautiful day in Isny. On our last day on the road we will travel back to Munich, pass the Starnberger See, the Ammersee and visit the monestry Kloster Andechs. In the evening we will get together for our traditional farewell dinner and reminisce over our shared photo tour adventure travelling the Alps and Lakes of Europe.